The Flint water crisis will take center stage today in Lansing today. A committee will be discussing more funding to help people pay their water bills. This all comes as a new study by Food & Water Watch found people in Flint paid the highest water rates in the country. The survey found that on average, Flint residents paid more than $860 a year for water. An amount that's almost double the national average and more than three times what the average household pays in Detroit. Governor Rick Snyder's office says the work to track down and replace high-risk lead water pipes is well underway. The state has entered into an agreement with a Flint-based engineering firm to identify high-priority areas that need work first. On Tuesday, the nation's top doctor was in town answering questions about the crisis. The Senate already passed the bill being discussed in Lansing today. Now, it goes to the House. 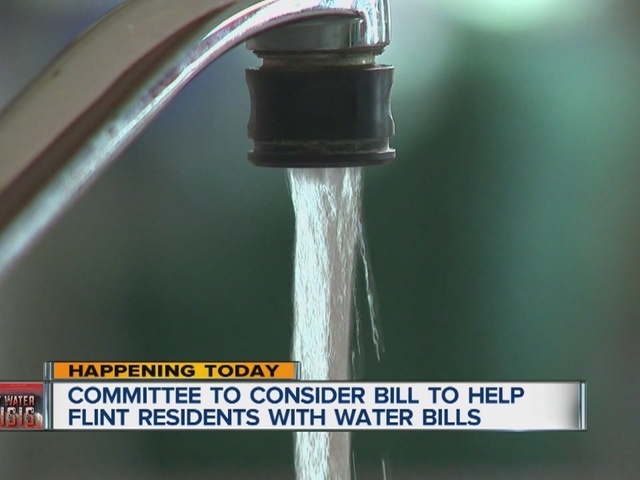 If it passes, another $30 million would be used to help people in Flint pay their water bills.